Our driveways sustain regular abuse from multiple sources. Our cars put stress and pressure on them as we drive to and from work and our errands not only everyday, but multiple times per day. They also absorb damage and wear and tear from the weather and elements; the rain, the snow, the salt that comes with the snow, the UV rays from sunlight, and the damage from changes in temperate. On top of this our children and their friends can wear down the surface with their bikes, rollerblades, and other toys. Over time these factors cause serious damage to your driveway, creating cracks and holes that make it unsafe for not only your vehicles, but to yourself and loved ones when they walk on it. But don’t despair, we are the best driveway contractors in Nashville and we are here to help you! Nashville Brick Mason is knowledgeable and ready to install or repair your concrete or stone driveway for your home or business. ​If you are looking to update and rejuvenate your home, our concrete or stone driveway installation in Nashville is a fantastic way to add value and style to your home’s outdoor space or driveway. Be it with stone or concrete, we guarantee our work will create a flawless, polished, even, and inviting surface to park your vehicles, host guests, and of course for your kids to play on. 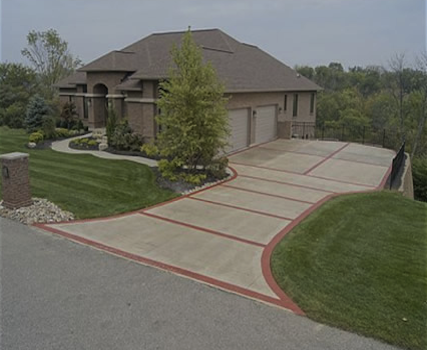 Hiring experienced concrete driveway contractors shouldn’t cost you a fortune. We provide poured concrete driveways that will last at the most affordable rates possible. Poured concrete is among the most durable building materials available, capable of withstanding daily exposure to the sun. Even if you wish to change its color in the future, it can be dye treated or its surface painted after installation. Poured concrete also cleans easily with detergents and a garden hose, or a pressure washer. Whether your vehicle is prone to leaks or there’s gum stuck to it, a quick blast is usually all it needs. Whether you prefer the smoother texture of poured concrete or a texture of cobblestone, stone, or brick, we are your best choice in driveway installation services. Call now for your new driveway and save. Even the best driveway installations will require repairs eventually. Luckily for you, we’re your all-in-one driveway contractor in Nashville. Although all concrete surfaces develop harmless hairline cracks, deeper-reaching ones can cause problems later. From holes to crumbling corners, we can repair them all. Don’t hesitate to call us for minor repairs before they become substantial problems. Hire us for your repairs today and save. When Do I Need Driveway Repairs? 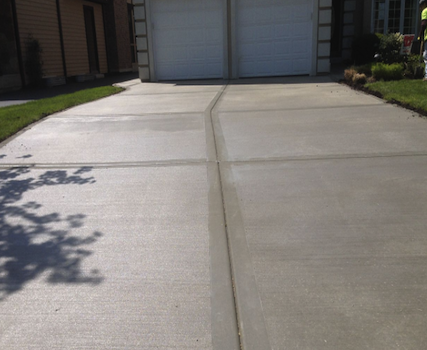 Typical poured concrete driveways will last somewhere around 20 to 25 years. However, in areas like Nashville that have hot, humid summers and cold, wet winters that lifespan may wind up being less. Any crack or gap in the surface wide enough to catch a sneaker or bicycle wheel is a hazard to your family. And if these issues remain ignored, it could lead to your entire driveway deteriorating. Although repairing concrete is a not a permanent solution, it is an affordable one. Even putting off replacements for another five years is a significant saving. 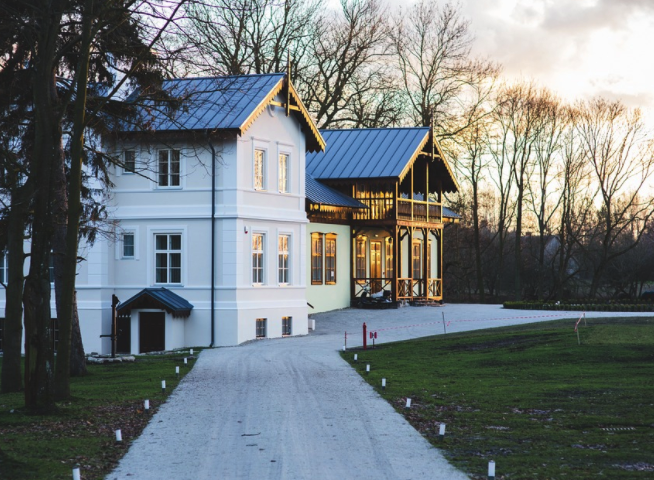 Before you spend too much replacing your driveway, call us for the best repairs possible. We guarantee that best solution for your needs and budget every day. Damage on your driveway, such as cracks and holes, are a hazard that can cause further damage to your vehicles. Why take the chance and cause further damage and spend more money? With Nashville Brick Mason, you can solve the problem with our concrete driveway repair in Nashville, TN and save money due to our attractive rates. If your driveway looks like a war zone, then look to us to repair your driveway and prevent any accidents just waiting to happen. With our quality masonry, we will have your driveway looking as good as new.